These are recaps of I Will Never Let You Go Chinese Drama Episodes 1-2, Chen Yu returns hotel, and people badmouth him. He agrees to take Hua Buqi to capital, but she must explain it to people, returning his innocent. The prince knows Hua Buqi’s whereabouts, and writes letter to ask Chen Yu to take back Hua Buqi. Note: From here on out there are specific plot spoilers for I Will Never Let You Go Chinese Drama Episodes 1-2. The holy virgin Xue Fei flees with her brother Zhu Hua from the misfortune of their family. She gives birth to a baby, but wants to kill her when knowing her fate. But Zhu Hua stops Xue Fei and swears not to let the baby repeat her fate. Just then the seventh prince arrives, but Zhu Hua runs away in Xue Fei’s help. The prince swears to find the baby, and asks Fei Xue why she chooses the path. Xue Fei laughs because she knows the prince married her for the treasure of Bi Luotian. 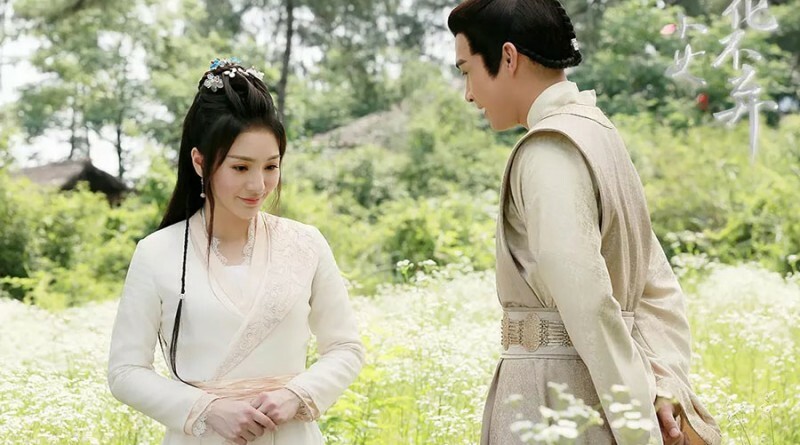 The prince won’t give up even if Xue Fei died, because he knows the baby is the next holy virgin. The baby named Hua Buqi, and Zhu Hua changes his name to Jiu Shu. Hua Buqi wants to do business through the money she begged, but Jiu Shu stops her and tells her not to contact with stranger. He asks her to pretend to be ugly, and explains that he doesn’t want to get recognized by creditors. Hua Buqi pretends to obey Jiu Shu’s order, but she wears scarf to do business. She hears the story teller talking about the warrior Lian Yike. But the man laughs. She thinks the man doesn’t respect Lian Yike and sneers at him, but the man is seventh prince’s only son, Lian Yike, Chen Yu. Chen Yu is intention to take medicine for his father, and wants to stop him looking for the illegitimate daughter he lost. The elder Miss of Ming Yue house claims she saw a woman looking like Xue Fei, and asks some guys to find her and kill her. She wishes them to rob the herbs which is carried to Fei Yun fort. The guys run into Lianyi Ke and want to fight with him when he is alone. The person who carries herbs breaks Hua Buqi wine jar. She is furious but wants to help Lian Yike. Lian Yike defeats the robbers while protecting her, but doesn’t kill them. Hua Buwei is touched and wants to keep Lian Yike. But he leaves. Lian Yike is shocked that Hua Buqi has same looks to Xue Fei, and guesses she is his sister. The elder Miss hears the failure, and blames the chief of Yao Ling house. Ming Yue house is ambition and wants to eat Fei Yun fort. She asks the chief to find the person who leaks the message to Lianyi Ke, and gives Xue Fei’s portrait to him. Chief is upset because he knows Yao Ling house will be ruined by Ming Yue Hao if he continues to unite with them. Chen Yu suspects Hua Buqi’s identity and follows her. She sees the warrant of Lian Yike, and changes his looks on the portrait. Chen Yu smirks and thinks Hua Buqi is very smart. Hua Buqi tells the old lady that she thinks she is Jiu Shu’s child, and her father is a play boy. Chen Yu thinks Hua Buqi isn’t his sister since she has a father. Hua Buqi returns home, and Jiu Shu warns her not to do business secretly. Hua Buqi promises to Jiu Shu that she won’t do business, but the money drops from her pocket. He is furious to blame her for contacting people and doing business. She feels wronged because she did it to pay his medical bill. So she fights with him, but apologizes to him when he is sick. The doctor tells Hua Buqi that only Yao Ling hao’s Hui Chun pill can save Jiu Shu’s life. Chen Yu visits the chief Lin Mantang and asks for Hui Chun pill. Lin Mantang gives him two pills since he is a prince, and leads him to walk around the Yao Ling house. Hua Buqi climbs to Yao Ling house and asks for the Hui Chun pill, but Lin Mantang tells her that the pills he gave to Chen Yu. So Hua Buqi asks Chen Yu a favor, but he rejects it. 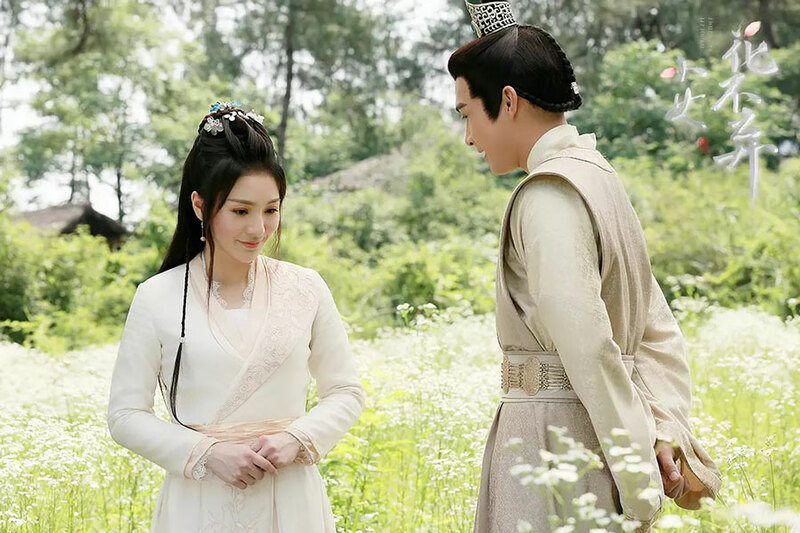 Hua Buqi cries out when taking care of Jiu Shu. Lian Yike gives the pill to her, and she is moved. Jiu Shu wakes up and knows she is going to die. So he wants to take Hua Buqi to visit Mr. Zhu, and she has right to know her identity. Hua Buqi goes to see off her friend, but she is spotted by people of Ming Yue house. Jiu Shu is sick and cannot walk too long, so she visits Chen Yu at the hotel. She asks him to take Jiu Shu but he rejects. So she lies to people that she has his baby and he is intention to abandon her. He has to agree her, but asks her to wash clothes for him. She finds out the clothes are too many, so she washes the clothes in front of people. People think Chen Yu is a jerk. Chen Yu returns hotel, and people badmouth him. He agrees to take Hua Buqi to capital, but she must explain it to people, returning his innocent. The prince knows Hua Buqi’s whereabouts, and writes letter to ask Chen Yu to take back Hua Buqi. Ming Yue house, the woman in red, Qing Wu mentions Hua Buqi to chief. She knows Chief hasn’t given up Xue Fei after many years, and cannot stand that Hua Buqi is alive. So she decides to get rid of her. Jiu Shu packs his stuff and decides to leave with Hua Buqi. But Qing Wu wants to kill them. Jiu Shu knows he will die in there, and tells Hua Buqi to be alive. He gives her the pot, and tells her to visit Mr. Zhu in the capital. But Hua Buqi doesn’t want to leave. Jiu Shu blocks the killers with his body, Hua Buqi has to leave with tears.